The BH Fitness RT AERO Running Training Treadmill Includes Triathlon training software that has specific standard race programs to help prepare for the triathlon events. This treadmill is driven by a 4 HP motor with a maximum speed limit of 22 kmph. New shock absorption system-Its system of 6 elastomers specifically developed for triathlete training, supplemented with the K-Dumper Soft Control, produces softer damping effect, specially developed for this sport. 4.0 HPP motor-Provides a quiet yet powerful speed between 1~22Km/h. The Triathlon Training Software includes series training programs with user defined objectives:- Distance, Time, Pulse rate, Inclination Predefined series, with machine controlled recovery times. The Triathlon Training Software includes Different programs like- 6 different running profiles each with 3 intensity levels, Warm-up and recovery, 3 user definable programs (uPrg). The latest cost of BH Fitness RT AERO Running Training Treadmill will be updated soon. *Note: Most of the sites, stores or shopping portals listed above sell BH Fitness RT AERO Running Training Treadmill with discounts and other exciting offers. There is a possibility that the some of above websites are not selling BH Fitness RT AERO Running Training Treadmill now. Toughtrain.com is not liable for such cases or instances. 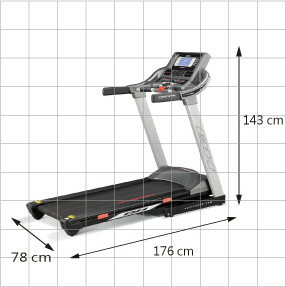 Also we do not recommend any seller for BH Fitness RT AERO Running Training Treadmill and a buyer should buy from where he/she gets best deal with quality of products, service and on time delivery (shipment).